In 2009, Mark Ingram became the first player at the University of Alabama to win the Heisman Trophy. 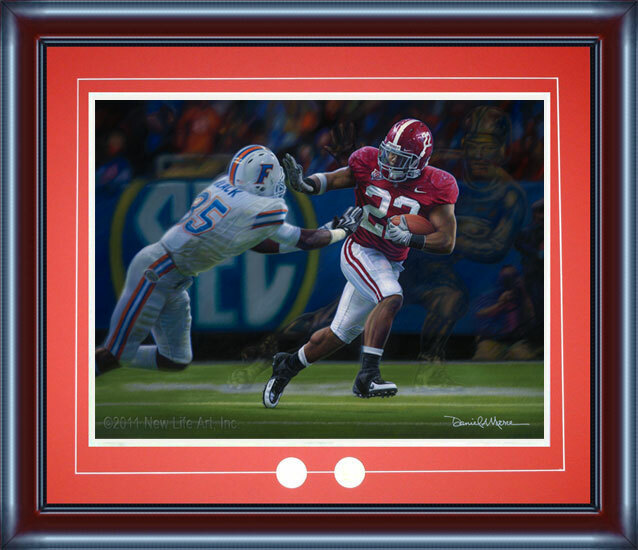 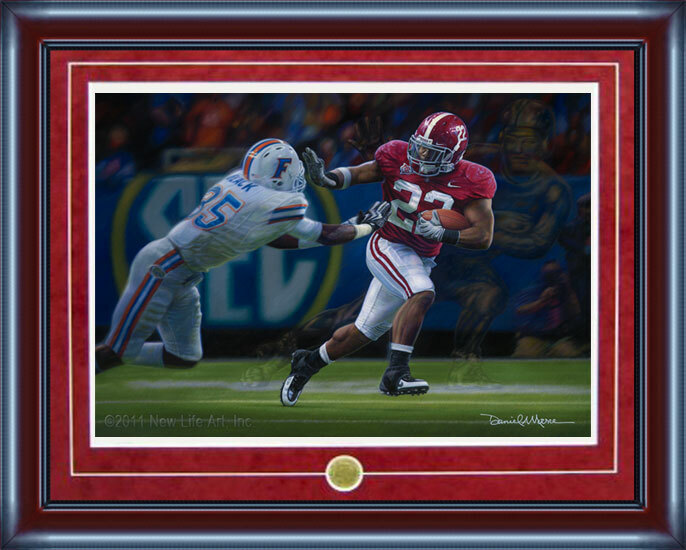 This print features Mark Ingram striking the Heisman pose in a run aginst Florida durning the SEC championship game. 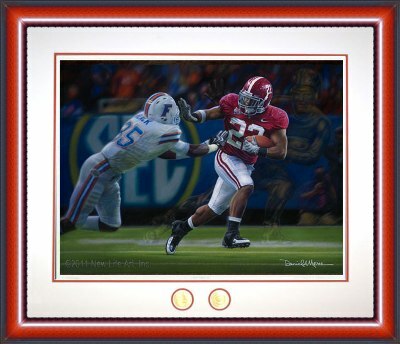 All prints will be signed by Daniel Moore. 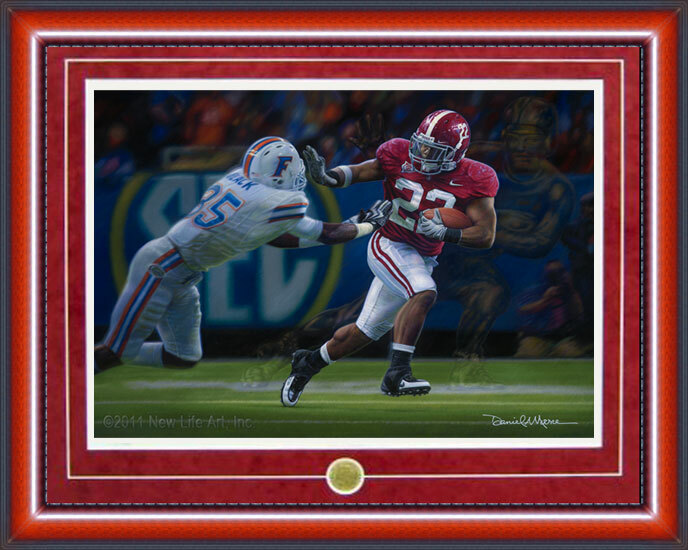 Museum editions will include Mark Ingram & Daniel Moore signatures for no additional charge. 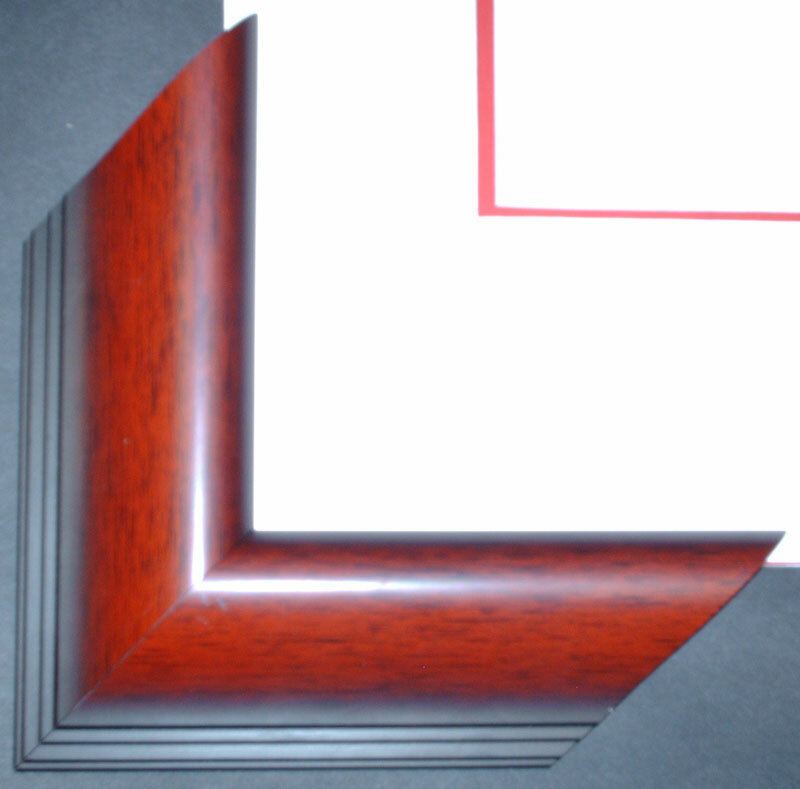 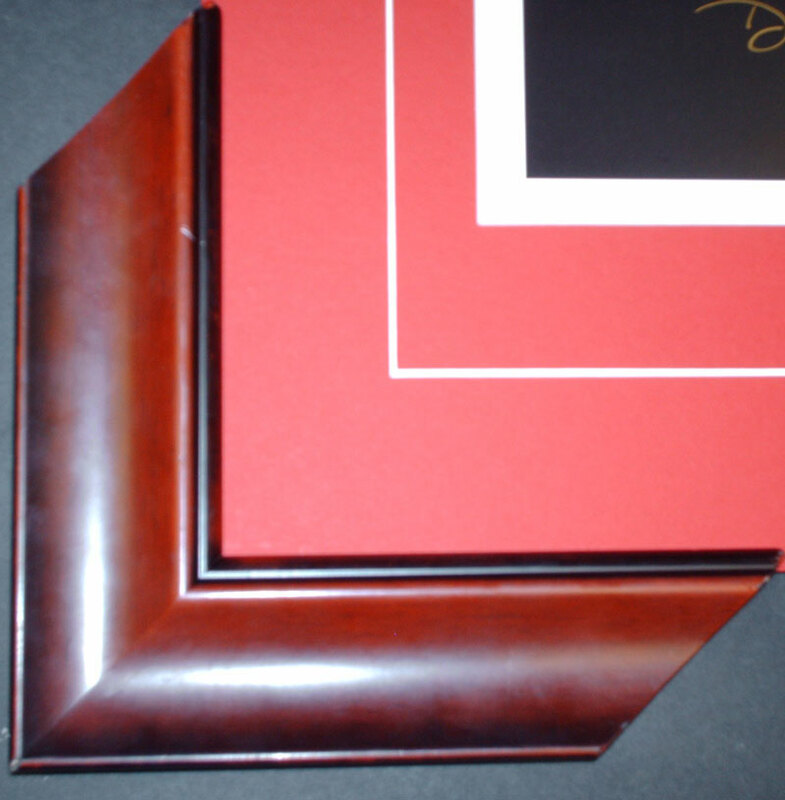 Full size images and corner samples of frames and mats may be found in table below. 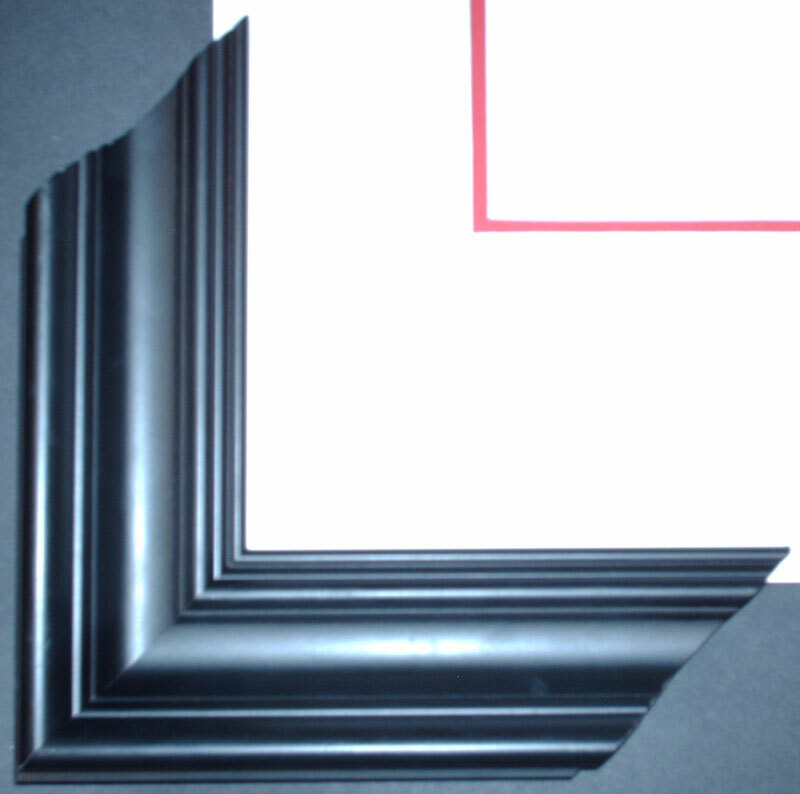 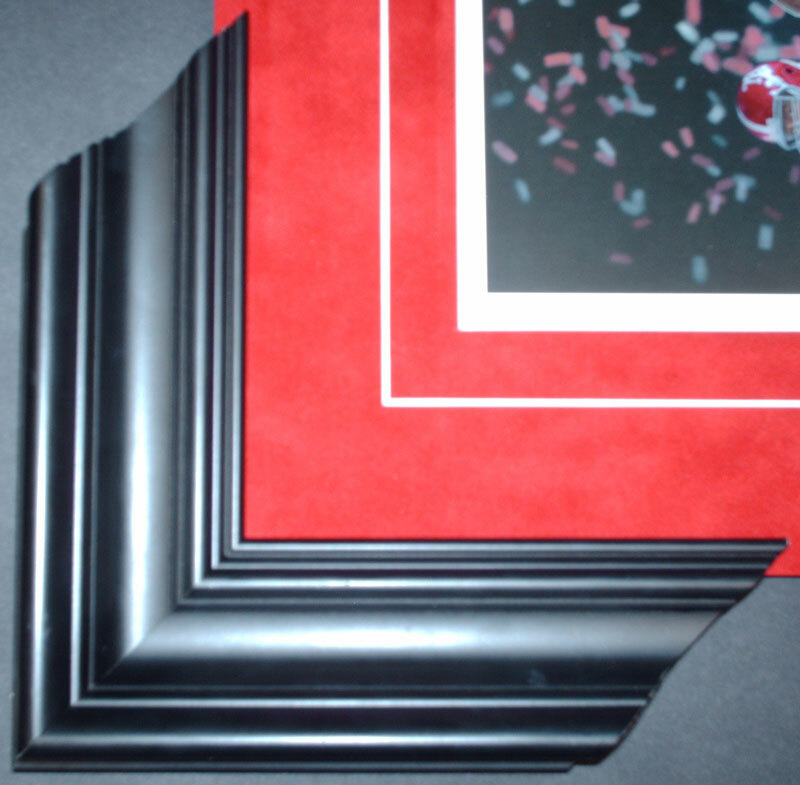 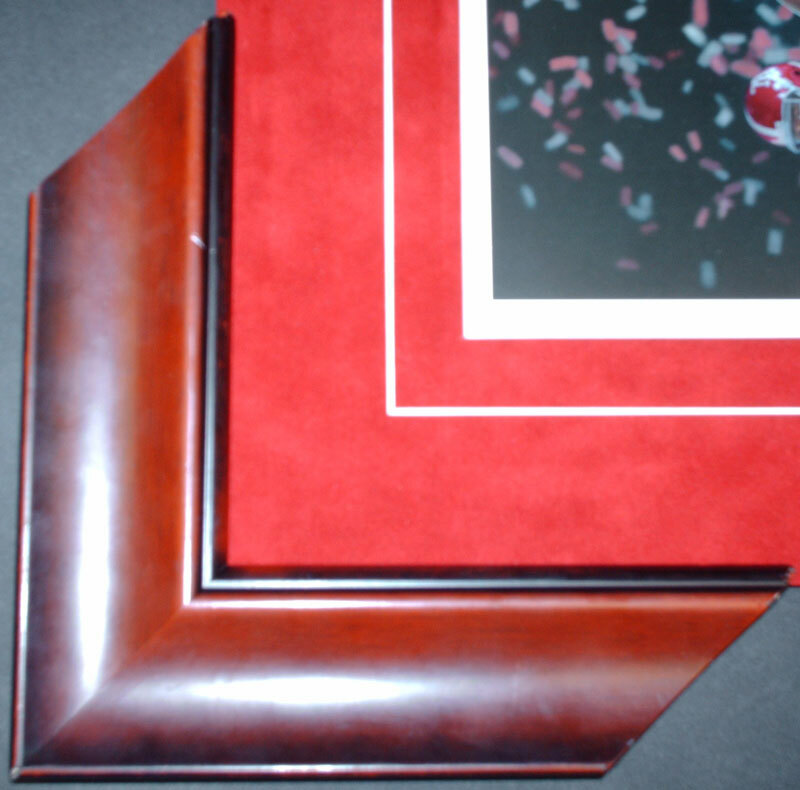 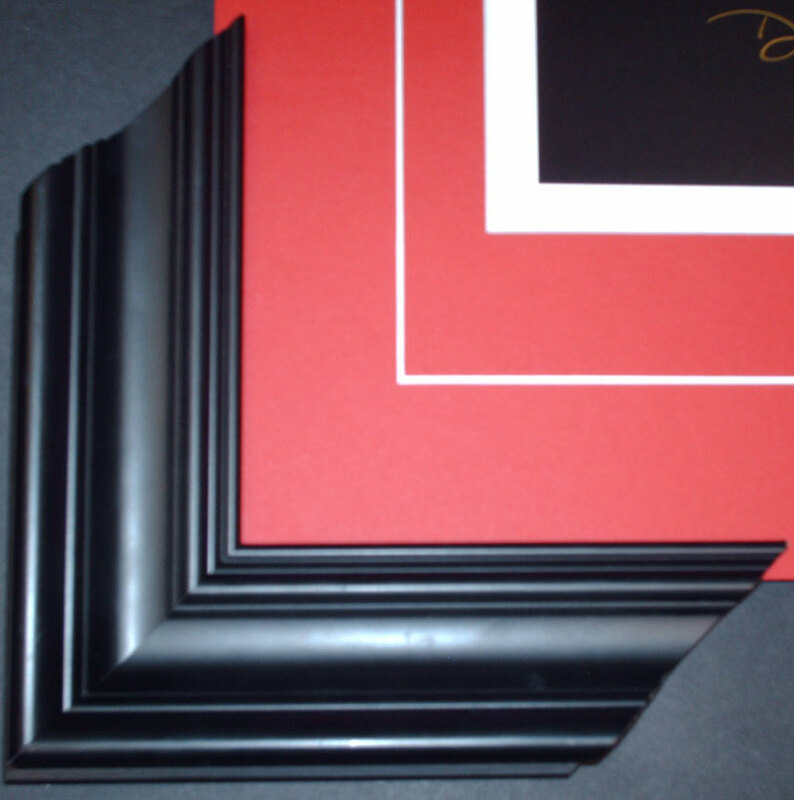 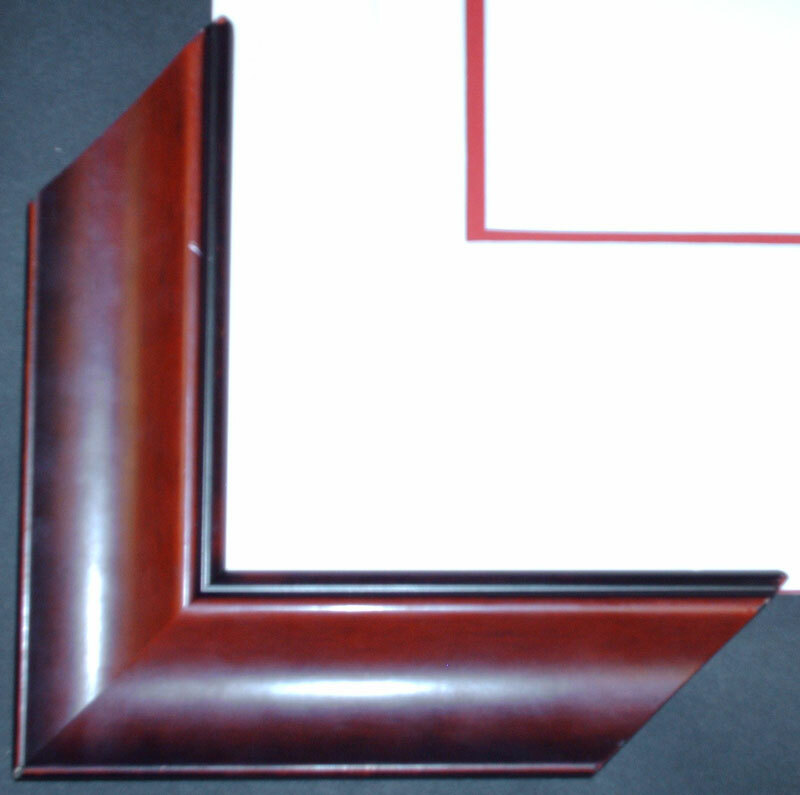 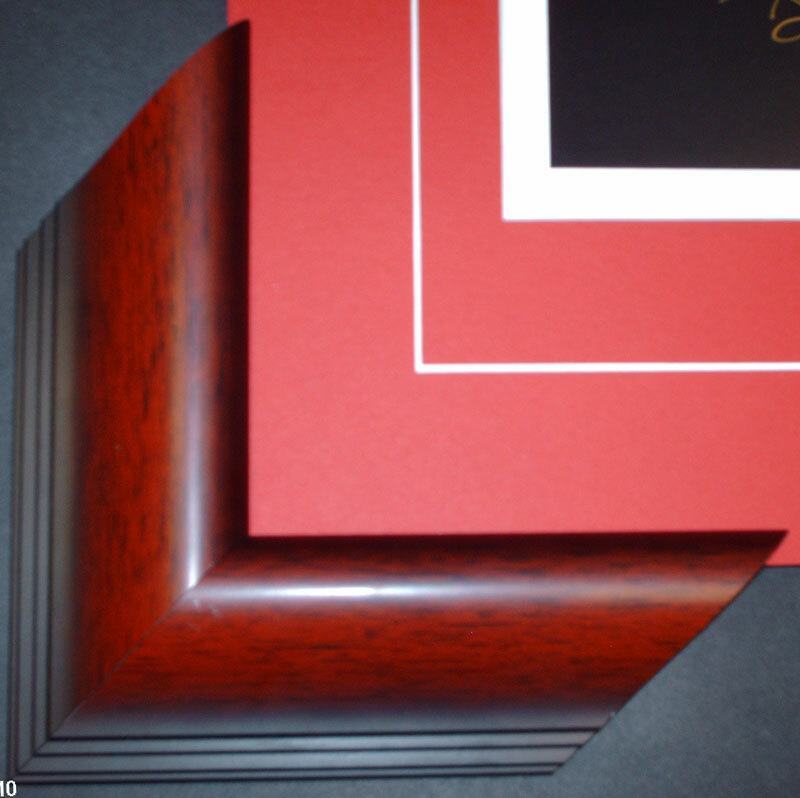 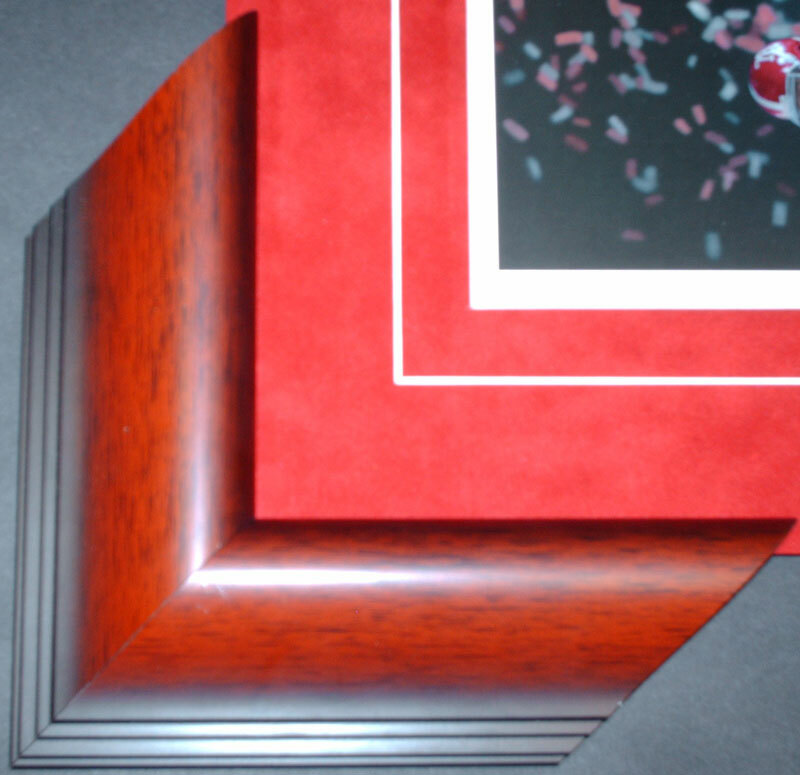 To get prices for frames and mats not listed below please call or email us.